For a moment, meditate on the symbol of Sagittarius.What do you feel about it? The creature representing Sagittarius has a head of man and body of a horse. That basically hints that those who carry this sign through the moon have a mixture of wild and humane emotions. Next, notice that the creature has his arrow intact to his bow for action. This signals that emotionally moon in Sagittarius people are into adventures of hunting. It is all felt with a good dose of optimism coming from the ruling planet, Jupiter. Ability to make the emotions breath freely and sometimes intellectually is of higher importance to moon in Sagittarius. This is because its ruler, Jupiter is not just about optimism, but also freedom and wisdom. But nothing is ever compartmentalized. The fire element compels the moon in Sagittarius people to say exactly what they feel inside. The power of Sagittarius is stronger in the emotions of a man. Rules and regulations are never going to work on him unless he intellectually convinces himself that they are made for a good reason and his power of adaption accepts them. As a child, he spends very less time at home because the idea of sitting in the middle of four walls is suffocating for him. If parents are too strict he will surely have fierce arguments with them. But of course, this will be quickly forgotten because he is more focused on the projects of future. All he knows is that he must get what he desires emotionally. A man with moon in Sagittarius excels best at sporty tasks. They make his emotions feel at home. Out in the open, there is a target that needs to be defeated or killed. Fortunately, he has the arrow to make sure that the job is done and make his team win. Throughout life, it is possible for this man to make many enemies. People with Scorpio, Capricorn, Taurus or Cancer moon will be first in the list. His refusal to play by the rules and say whatever is in his mind can be blamed for it. When it comes to love and relationships, this man is daring. He will never fail to let his crush know how he feels about her. Sometimes this can create odd situations. Moon in Sagittarius is not fond of arranging romantic words to explain them in Shakespearean style. So he might quickly utter “I have a crush on you” to even a stranger! Despite his straightforwardness in love, many of his partners find him frustrating. Sagittarius moon is not much into dos and don’ts of relationships. So a man carrying it does not see a need to always be by his partner’s side. Another thing is that due to the mutable nature of Sagittarius, his emotions change quickly. This forces him to give contradicting opinions.For instan ce, today he might talk of the future of the relationship, but tomorrow he might back down from it. Because of all this, an open minded carefree girl best suits him. Is this Sagittarius moon man faithful? Emotionally, he can be unfaithful. But physically, he can choose to be with his official partner. A woman with moon in Sagittarius can go through quite a lot of emotional turmoil. Influenced by mutability, she wishes to go with the flow of the society, but deep down inside she actually wants to have an individualistic lifestyle. The latter gets the highest priority. It is usually seen that a woman is cleverer than the man in utilizing the positive side of moon in Sagittarius. Her emotions are filled with bravery for which she educates herself well, makes many friends from different backgrounds and tries her best to keep herself happy. Also she is more capable than the man in practicing diplomacy. In love, she learns from her mistakes. Basically, as a young girl, she falls for the wrong men. It is all due to her impulsiveness about relationships. During this specific time, she does not think about the type of men she dates. Such things do not matter. All she wants is love. But then comes a time when her relationships with them go haywire. This sure gives her tremendous pain because she is sensitive in love. 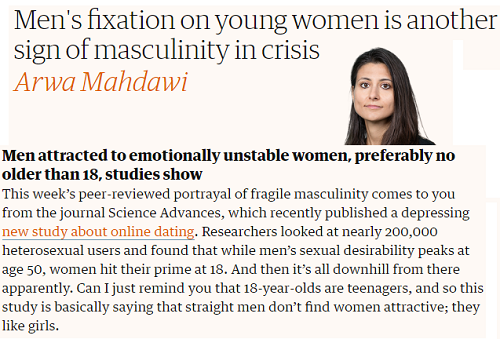 Good news is that as she starts moving on from it, she learns to make herself more selective about her future partner. This is when she listens to her head more. The process also makes her more fearless. So when a new date does not live up to her expectations she feels no pain in dropping him. Her type of man is actually someone who does not push the tradition of his parental home on her. And yes, she needs a friend first and then a boyfriend. So it is okay for him to be not too passionate. But is she faithful? Yes because her morals are stronger.